My own thoughts and opinions! I’ve made this a sticky post (my first ever!) but I’ll take it down at the end of the month. 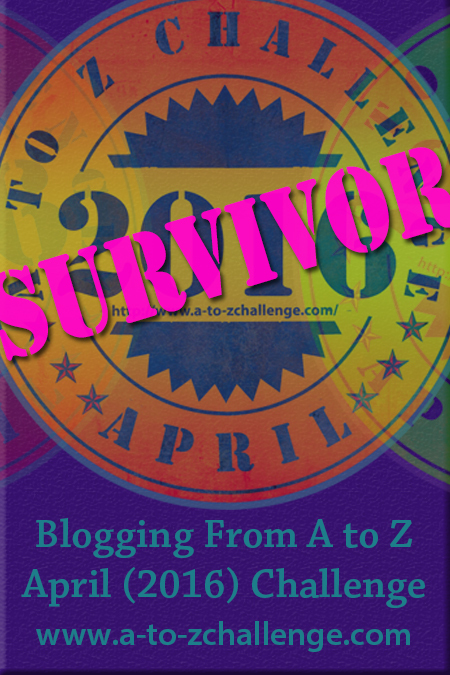 Wishing everyone who is participating in A to Z good luck with your posts and making it to the end! Thanks Stephanie! I was excited to write it!